To Be a Gentleman! Young Pip, an orphan boy, apprenticed to the village blacksmith, yearns to be a gentleman. Suddenly a mysterious person wills him a fortune and he leaves his village to be educated as a rich gentleman. Pip longs to marry Estella, beautiful ward of the eccentric Miss Havisham. But Pip's new life is shattered by the re-appearance of Magwitch, a convict who once forced him to steal. 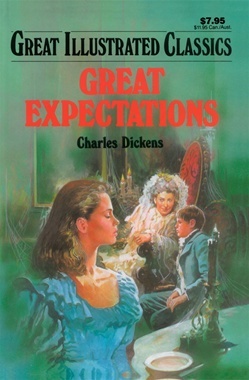 Will Magwitch's demands spell the end of Pip's 'great expectations'. . . .?